CareMount Medical hopes for reduced costs and improved quality of care by improving how the acute and post-acute care settings communicate and measure success. 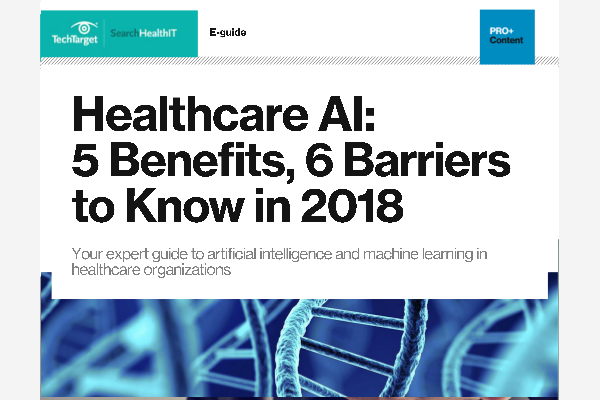 Virtual care, AI and widespread adoption of the FHIR standard will be major trends in healthcare next year, according to Forrester. Telemedicine proponents have an ally: the chairman of the FCC. Here's what Ajit Pai has planned to get broadband into poor and rural communities in the U.S. The McAfee advanced threat research team has shown that a weak communications protocol can lead to a 'man-in-the-middle' attack that could be hazardous to a patient's health.